As a hockey coach I am always scouring the internet for new ideas, drills, and resources. I have found a number of great drills and videos that I review when I am looking for new ideas. After years of coaching I have compiled and organized quite a list of links to my favourite hockey coaching resources. I wanted to share this list of links with other coaches so they too would be able to easily find drills, inspiration, and motivation for themselves and their players. This is a very well put together collection of games. I searched and searched for a free pdf on systems, but nothing was complete enough. The e-book below is well worth the money spent and nice to have handy on my ipad. While I love learning for free, sometimes it pays to not be cheap. Growing up playing minor hockey I didn’t quite have a grasp on hockey systems and strategies. In my search for some good resources I found Jeremy Weiss’s playbook and got a copy. It’s a great read with a lot of good information and a number of current systems. 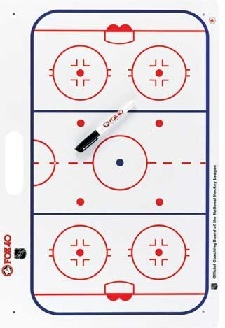 The playbook covers Offense, Defense, Forechecking, Special Teams, Faceoffs, Transitions, Breakouts, and more. So you’re looking for more documents to scan through during downtime. I’ve got you covered, below are some great resources that are updated from time to time with new material. There is a lot of teaching in this manual. You will learn why overspeed training is important as well as how and when to teach it. There are a number of good overspeed drills as well. This youth hockey organization has also compiled a nice list of PDF downloads for coaches. The documents are organized nicely. A few good ones are included below. They all have good lessons for coaches as well as useful drills. I’ve found the Ontario Minor Hockey Association to be a great resource for updated drills and information. If you scroll down the page you will see downloads from former coaching clinics. Some of them include information from OHL and AHL coaches. Hockey share has a great community of coaches sharing, creating, and commenting on drills. They have a great collection of free drills to browse through. They have also created a very cool drill diagrammer for the more serious coaches out there who create and organize their own drills. If you’re looking for drills and lots of them, this is the place to go. These aren’t just any drills though, they’ve been tried and tested by Coach Nielsen. Visiting his site is like having access to his brain. For the past 4 years coach Nielsen has been posting drills and tips for any hockey coach to freely access. He’s got a great blog that is worth following as he not only shares drills, but also tips and advice on how he and other coaches use them. The website looks like it hasn’t been updated since a year after the internet was invented, but it is actually filled with a lot of great drills and updated on a fairly regular basis. This is an awesome resource for coaches. Every year there is a coaches conference with many pro NHL coaches giving seminars and presentations. The coaches site uploads the seminars a few months after the conference. 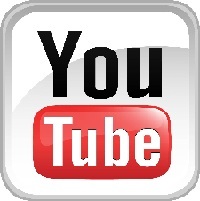 There are a handful of great videos to watch! Pro Playmakers – Daryl coaches the pros and adds videos the odd time. They are not instructional but it’s nice to see the high tempo drills he uses. Hockey Canada – There are some great playlists on this channel. This is a true GUIDE for coaches. It’s not just a heap of drills. Coach Red Gendron (former assistant coach of NJ devils) walk you through concepts and strategy in a step-by-step fashion, and then provides drills to implement what he teaches. I love the format and information in this book. No this is not a book about hockey tough guys, it’s about mental toughness and how to train your brain to perform better each and every game. I would recommend this book to coaches and players as mental training is often completely neglected, especially in minor hockey. Coaches will learn A LOT of great tips that they can implement and pass on to their players. This is a great book that contains interviews with many of the best NHL coaches that ever lived. The interviews reveal a lot of insightful advice from some of the smartest hockey minds out there. I took notes with my tablet while reading and came up with pages and pages of good quotes and tips for coaching. I definitely recommend this book to coaches. You can buy them separately, or together as a bundle Learn more about the playbook and drillbook here.